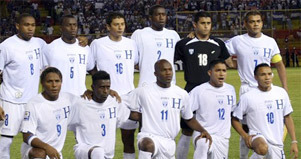 Honduras are team 27 with a FIFA ranking of 37 in the World. One previous appearance at Spain 82 which ended at the group stage. Interesting is the fact that they drew 1-1 with the hosts Spain and ironically they meet again after 28 years in the group stage. Honduras are in Group H with Spain, Switzerland and Chile. Honduras were able to avoid a play off against Uruguay because of a late goal by the USA against Costa Rica. A great achievement to reach South Africa and a strong team that never gives up. My Prediction: Out at Group Stage.